The reason is the store is not too crowded and the amount of goods still lot, so you can be more free to choose the gifts you want to buy then you can choose good quality goods with reasonable price. Find ideas about the kind of gift that will be given to the people you care about by browsing to the online store, reading magazines, watching TV, and chatting with friends. So you will get idea bout the right stuff to give. 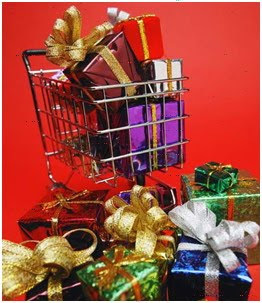 Create a gift list before shopping. Write the name of the person you want to give a gift, type of gift, and the store where the gift is sold. Don’t let the amount of money you spend beyond the budget that have been made. Of course you don’t want to start 2010 with a lot of debt right? Check the online store in advance about the specification and price of goods you want to buy, and then compare it with the offline store. Considering the discounts offered too. If the price of goods at the online store can be much cheaper, then you don’t have to bother to go to the shopping center. If the stores offer special free wrapping service, I recommend to use this service, because it can save a little money to wrap the gifts.